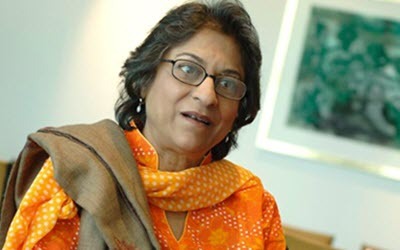 On April 24 the UN special rapporteur (UNSR) Asma Jahangir has denounced a report published by the Iranian News Agency (IRNA) alleging that she was planning to undertake a visit to Saudi Arabia in order to defame the authorities in Tehran. This attack on the UN SR shows the length the clerical regime in Iran will go to cover up their human rights abuses towards their own people. There are many examples of abuses that the regime denies happens. There is not without reason the regime is denying the UNSR to visit Iran and investigate abuse allegations herself. The rise of internet social media has made the evidence easy to access and the videos and pictures leave no doubt that the allegations are the truth. The most pressing violation at this time is that of the human rights activist Atena Daemi, she is on her 17th day of hunger strike and she is in critical condition. 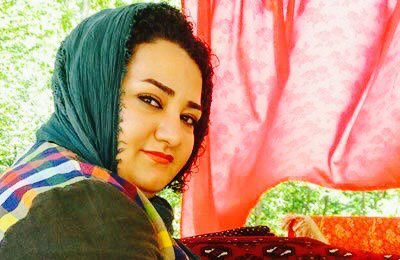 Atena Daemi was sentenced to seven years in jail on unsubstantial charges of assembly, collusion and propaganda against the regime, blasphemy and insulting Khamenei, and concealing evidence of a crime. 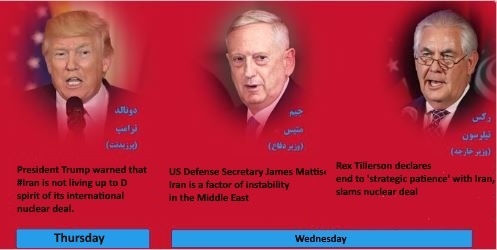 Within 24 hours the Iranian regime was threatened by USA 3 times. On Wednesday the secretary of defense, James Mattis said that Iran is a factor of instability in the middle east. And the Secretary of State, Rex Tillerson declared an end to the strategic patience with Iran as he slams the nuclear deal. On Thursday President Trump warned that Iran is not living up to the spirit of its international nuclear deal. These statements are giving a strong indication that the US policy towards Iran has changed. The days of appeasement policy are long gone and Iran faces a tougher USA then they did under Obama. There is now evidence that the bomb dropped in Khan Sheikhoun contained illegal chemicals. According to doctors who observed the symptoms of the victims, it was most likely sarin gas or a similar nerve agent. 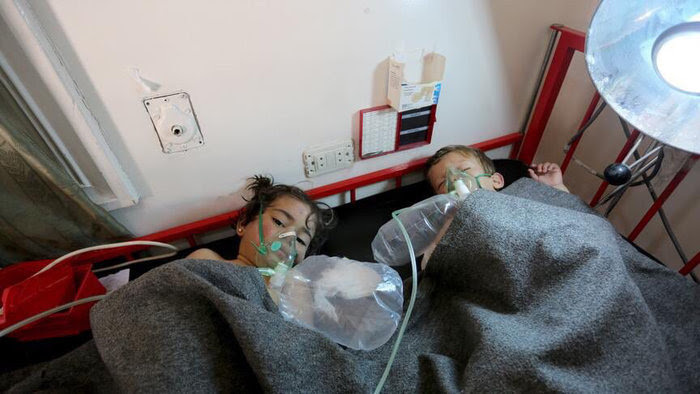 As mentioned earlier Sarin is a nerve agent that kills its victims by asphyxiation, that means that the victim suffocates due to the inability to control the muscles involved in breathing functions. Initial symptoms following exposure is a runny nose, tightness in the chest and constriction of the pupils. 1 to 10 minutes after inhalation the victim will die. Sarin gas is a very potent killer because a victim's clothing can release sarin for about 30 min after it has come in contact with sarin gas, which can lead to exposure of rescue workers. Assad's news agency claim that they used regular bombs that hit a chemical bomb factory used by the opposition. The probability of that is rather slim, first no opposition group will store both agents needed to make a chemical bomb in the same factory, the risk of accidents are too high, secondly, if it was so, the probability of both agents to react correctly in a shelling is practically like zero. One of the precursors in sarin gas bombs is isopropyl alcohol if hit by a bomb it will go up in a ball of flames. And thirdly, if Assad's forces knew that there was a chemical bomb factory and they hit it deliberately, it is a war crime. The most likely reason for this crime is that Assad was ordered by the IRGC. The IRGC was suffering heavy losses in this area and the revolutionists were gaining ground, they were about to lose the area and needed a leverage. 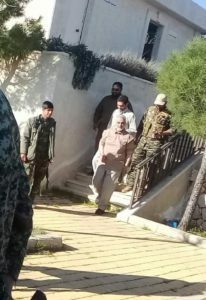 The losses of the IRGC was so high that on March, 31, four days before the chemical attack, Qassem Soleimani visited the IRGC forces in Hama area to boost their Morale. So the claim that Assad was bombing KhanSheikhoun on orders from IRGC is not so far-fetched as it seems. 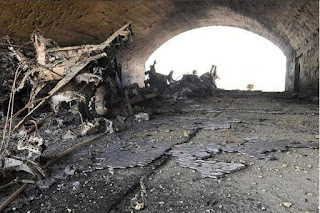 It looks like the bombing was retaliation over the heavy losses that IRGC suffered, and to stop the opposition in gaining more ground, they were on the outskirts of the city of Hama at the time of the bombing. Assad has an obligation to follow orders from IRGC, In March 2013 the Syrian opposition was quite close to a victory they were getting closer to the presidential palace ready to occupy it, Assad who was sure of losing was preparing to leave the country. The IRGC saved Assad from being overthrown. The reason for Assad to depend on IRGC is quite clear, Assad’s ground forces are weakened so all offensive ground operations are now carried out by the IRGC with heavy support from Assad’s air force. It is, therefore, evident that if the IRGC and its mercenaries are evicted from Syria Assad will fall, and there will be a regime change. If Iran gets a nuclear bomb!? 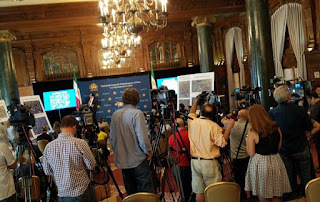 The NCRI have in a press conference they held today revealed that the regime continued their pursuit of a nuclear bomb even after they signed the nuclear deal. 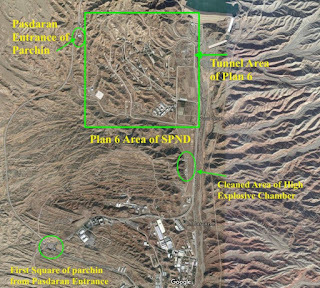 the unit called SPND is controlled by the IRGC and have had the work on Iran's nuclear project as their main task. The facility where the SPND was working has been off limit to the International Atomic Energy Agency IAEA. The main question is why? What is the regime hiding in the facility? 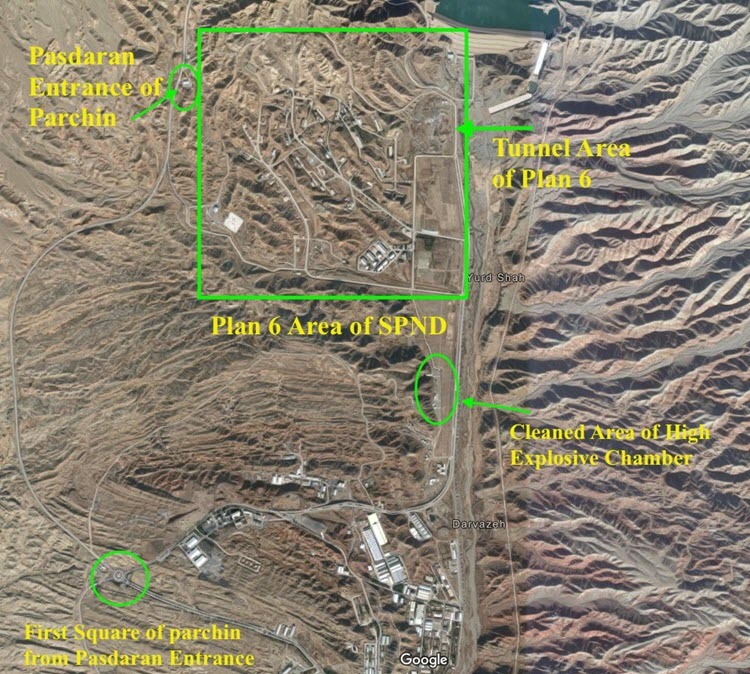 Sources for the Iranian resistance have revealed the true purpose of these facilities, they are part of Iran's great plan to create an Islamic nuclear empire with Tehran as its capital. If they obtain a nuclear bomb there will be great devastation to the neighboring countries and I fear that some of them will cease to exist. The SPND are divided into 7 divisions which have been working on different part of the nuclear project. One of these divisions is working under the cover of being a research academy. The MEK source revealed that the nuclear enrichment has continued even under the nuclear deal in these secret facilities. The world looks to Paris today with shock and grief as we watched the recent terrorist attack on the famous Champs-Elysees. A terrorist opened fire in the most famous tourist area in Paris on Thursday afternoon, one police officer lost his life and others were wounded. The terrorist was from ISIS and he deliberately targeted police officers. Just imagine if ISIS had access to a nuclear bomb? That might well be the result if Iran gets one. The Iranian regime is known to support ISIS with not only money but also weapons. The threat to the world would be devastating. The Iranian regime is fully aware of that the only way to save the clerical regime in Iran would be if they obtain a nuclear bomb and become a nuclear power like the big boys in the west, but the NCRI is doing all in their power to prevent that. Today's press conference shed light on some of Iran's best-kept secrets when it comes to the enrichment of uranium that Iran is prevented from doing according to the nuclear deal they signed in 2015. The NCRI has revealed the true intentions of the regime, A regime that will break every deal if it helps them becoming a nuclear power. The main task for the NCRI in this matter is to make the world leaders aware of the nuclear threat that is coming from Iran and to make sure that the world leaders realize how severe that threat is. The Iranian regime has received nuclear technology from north Korea. That means that they are one step closer to a nuclear bomb. The president-elect of the Iranian resistance, Maryam Rajavi have been warning us for several years that the Iranian regime would never give up the pursuit of becoming a nuclear power and the revelations from today's press conference proved her right. So this is the time to put a stop to all uranium use in Iran. They must be prohibited from using uranium in any form and the IAEA must have access to all facilities where there is uranium stored or used. The only solution to neutralize the nuclear threat from Iran is a regime change, in point 10 in the ten point plan for Iran, the NCRI states that under their tenure want a non-nuclear Iran, free of weapons of mass destruction and that they will work for peace and tranquility in the whole middle east region. 1. Why is the mullahs’ presidential "election" that is scheduled to be held on May 19 important? There are three factors that are important for Khamenei when it comes to selecting the new president, first is the internal factor, the fear of an uprising like 2009, and the wish to prevent a similar event. The second factor is international, will they back of and accept all terms or stand up and risk confrontation. The third is the problem of succession in the supreme leadership.2. What is the election process and who can run? The election in Iran is nothing like the democratic elections we know, the guardian council has to approve every candidate. Ever since the war started in Yemen there has been an evil Iranian presence. The Iranian regime has from the very beginning supported the Houthis. 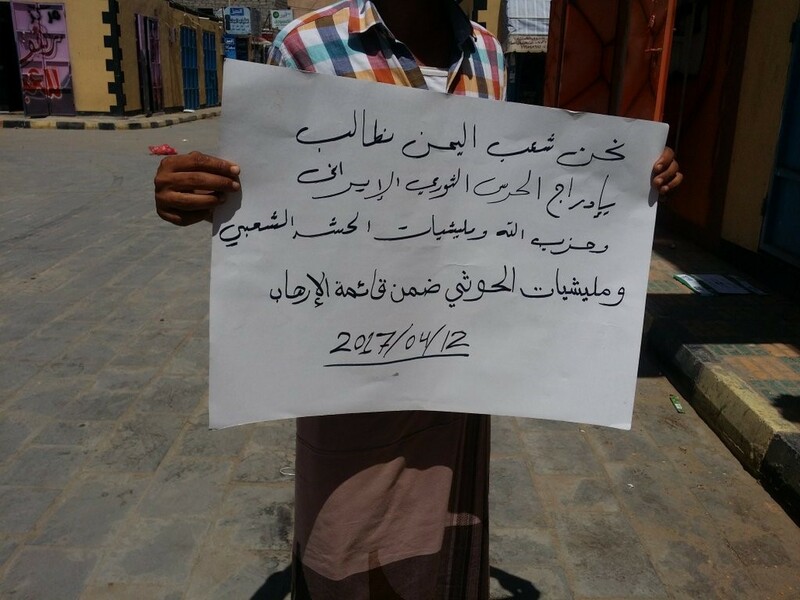 The Houthis started the war because they refused to support the democratically elected president. Using the role model of Lebanese Hezbollah, the IRGC created a surrogate group in Yemen exploiting the tribal disputes and a Shi’ite minority in that country. 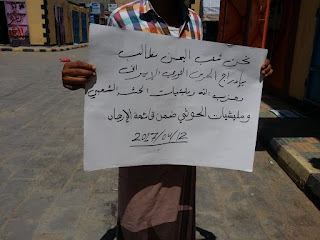 The Houthi tribe became the prime candidate for organizing such a movement. The Iranian plan was to expand the war to overthrow the government in Bahrain, and to create unrest in the Shiite population in Saudi Arabia. The Iranian clerical regime has ever since they hijacked the Iranian people's revolution had a plan of a Shiite crescent in the middle east ruled from Tehran. 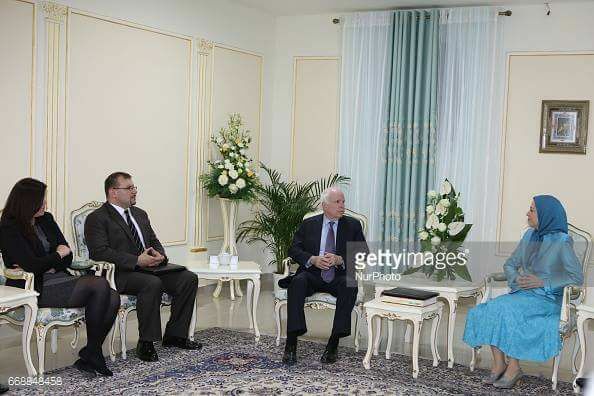 On Friday, April 14, 2017, Senator John McCain (R-AZ), Chair of the Senate Armed Services Committee, met with Mrs. Maryam Rajavi, the President-elect of the National Council of Resistance of Iran (NCRI) in Tirana, Albania. The issues that were discussed in this meeting was the development in Iran and the Iranian regime’s meddling in the middle east region. Senator McCain praised MEK for their relentless struggle for freedom and democracy in Iran, he also expressed his deepest condolences to the MEK/ PMOI members who have lost loved ones by the hands of the clerical tyrants in Tehran. The biggest fear for the dictators in Tehran is that the Iranian people get so fed up with the clerical regime that they stage a new revolution. The regime knows that when this happens they will be overthrown and obsolete. In a new Iran, there is no need for old-fashioned dictatorial mullahs. 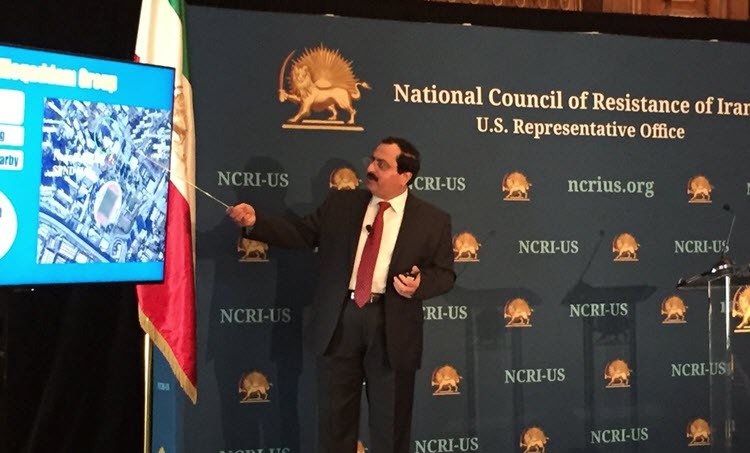 The new Iran needs the Iranian resistance council, the NCRI. 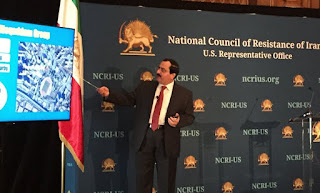 The regime fears the NCRI because they know that they have the support of the Iranian people, the mullahs do not, the Iranian public hates the regime and their actions. The regime is known for their suppression, torture, and executions. In the aftermath of the American airstrike on the Shayrat Airbase, we have seen the presence of the IRGC. This base has been the Airbase used to bomb the liberated areas in the northwest of Syria, the Idlib province. At the Shayrat airbase, IRGC has been instructing Assad’s forces in their attacks on Syrian civilians. It would not come as any surprise if we at a later state got evidence that IRGC was, in fact, ordering Assad to use chemical bombs. It is well known that this airbase is used to carry out Irans will in Syria. Also, the statement from the Iranian regime that it was not clear if chemicals have been used are highly suspicious. The Shayrat air base is one of the most important training bases in central Syria and most of the military attacks have been carried out from this base. The IRGC is providing Assad with a variety of bombs that are made in Iran and they are stored at this airbase. IRGC members are present in most Syrian airbases. they are briefed and instructed by IRGC QUDS force commander Qassem Suleimani who is literally in charge of directing Iran’s terrorism and instructing Assad. It will be interesting to see how Russia will respond to the recent chemical attacks, Turkey’s Erdogan has made it clear that he condemns this attack and shows his support for the Syrian opposition. What more will be to see how far is Trump willing to go to show that he is the toughest dog in the street? Will he continue to strike at Assad until Assad's forces are demobilized, or will he stop now? The future of Syria’s children depends on Trump’s further actions and we urge him to continue raiding Assad's airfields to save as many Syrian civilians as possible. It will also be interesting to see if the IRGC will instruct Assad to retaliate against the USA, but that would be extremely foolish on the other hand, Iran is not known to follow common sense so that remains to bee seen. Maybe the retaliation will be taken out on those who can not strike back, the innocent Syrian civilians. 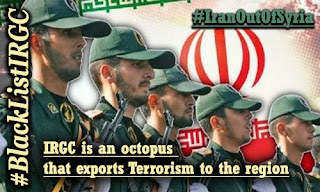 IRGC’s role in Syria is quite clear, to fuel the civil war as much as they can because the regime knows, as soon as the war in Syria are over or they get evicted they must fight in the streets of the major cities in Iran. the main goal for Trump must be to save lives and that means to put an end to the war. The only way to do that is to expel Iran from Syria and to demobilize Assad. We know that America has the power to stop Assad, let us hope they use it. The US ambassador to the UN, Nikki Haley told the CNN that removing Assad from power is a priority. This marks a U-turn in the US policy regarding Assad, that changed when the horrific images from Idlib landed on Trump’s desk. Getting Assad out is not the only priority. So what we are trying to do is obviously defeat ISIS. Secondly, we don’t see a peaceful Syria with Assad in there. Thirdly, get the Iranian influence out. And then finally move towards a political solution, because at the end of the day this is a complicated situation, there is no easy answer and a political solution is going to have to happen she said. She also said that a political solution would not happen with Assad in power. A regime change is the only solution for a peaceful Syria. The whole world except Iran has condemned the use of chemical bombs and Mrs. Maryam Rajavi from the Iranian resistance expressed her deepest condolences to the brave people of Syria and she urged that those responsible must be brought to justice. As the Iranian presidential election is getting closer, let’s take a look at it. The election is scheduled to be held May 19th. It is not really an election, it is more like an announcement of who the mullahs have chosen to become the next president. 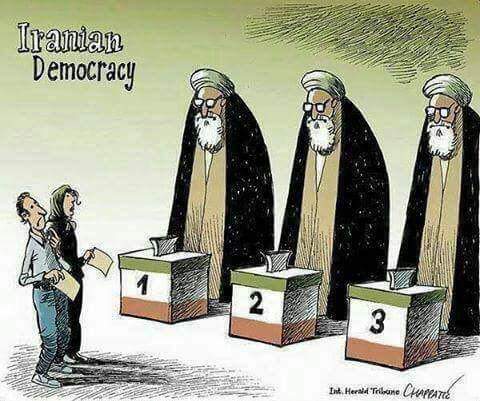 It has happened this way for many years, that is why the resistance and the Iranian public have boycotted the sham elections since June 20, 1981. The sham was exposed to the whole world at the re-election of Ahmedinejad, in some provinces there were more votes than voters, in some of them, there was 110% voting rate. The sham was exposed but it did not make the mullahs change their ways. The voting sham leads to the uprising of 2009 where many young protesters were murdered by the IRGC in the streets of Tehran. The Iranian people no longer believe in the lie that their votes matter. This strikes so much fear in the clerics that they have forbidden any election protests. American attack on Syrian airbases. 07.04.2017 night at 03.20 the first messages about an American air raid ticked in. The USA have fired 59 tomahawk missiles against the airbase Shayrat in Syria. the missiles were fired from USS Porter and the USS Ross in eastern Mediterranian. American authorities say that the attack was aimed at planes, infrastructure, included the runways, storages, fuel storage, radars ammunition bunkers and anti-aircraft systems. According to the Syrian state tv, several military facilities was hit. They call the attack an act of aggression and say it has lead to loss of lives. The governor of Homs says the attack was to support the terrorists on the ground. In a time where we are witnessing how vast and violent the Iranian regime’s actions in the middle east are, it is important to vote for sanctions against this terrorist regime. We are witnessing how the IRGC is committing genocide in Syria. and we are witnessing how the regime is suppressing their own people and the IRGC is a threat to peace and stability in the whole Middle East region. Bill s-219 is currently up for debate in the Canadian senate chamber, this Bill contains pretty much the same set of sanctions that are up for debate in the US congress. It is of utmost importance that the Canadian senate decides to vote in favor of the Bill, this to slow down the terrorism committed by the IRGC in Syria and Iraq, but also to slow down or get abolished the terrorism that the regime is committing inside their own borders. The regime’s lobbyists are trying to make us believe that these sanctions will harm the people more than the regime but it is a well-known fact that trade sanctions will harm the regime most since all major companies in Iran are either owned by the IRGC or the supreme leader. The nuclear deal that was struck with Iran in 2015 released a flow of billions of dollars in cold hard cash into the regime in Tehran, and all of this money was spent fueling the war in Syria, Iraq, and Yemen. 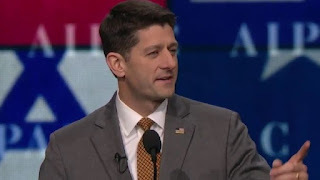 The people of Iran did not benefit from this flow of cash into Iran, and therefore we must uphold the sanctions and must set further sanctions in motion if Iran breaks any deals. Thankfully more and more governments realize that the nuclear deal with Iran was a disaster and that the appeasement policy by Obama was a failure that must never be repeated. Iran has shown us over and over that, they do not respect any deals they have signed. We must do all in our power to hinder Iran from developing nuclear weapons in order to secure the safety of Syria, Saudi Arabia, and Iraq. So we will like to thank the senate in Canada for the proposal of Bill s-219 and we will like to further encourage the senators to work for peace and stability in the middle east by giving you all our support In your work. We must keep working towards peace and stability in the middle east region and to be frank, that will never happen with the current Iranian regime.All sorts of information on bill S-219 is available at LEGISinfo, provided by the Library of Canadian Parliament. You can also read the full text of the bill. Paul Ryan urges for the blacklisting of the IRGC he also wants to have non-nuclear sanctions on Iran. a fatal flaw of the nuclear deal that Obama signed with the regime is that even if Iran cooperates it will provide Tehran with a patient pathway to nuclear capability. We must continue to punish the regime for their illicit actions with sanctions. Let’s start with Iran, my views, your views and the nuclear deal struck by Obama are pretty darn well known. But we must not forget the failures of the past if we want to do better simply put this deal has been an unmitigated disaster. I don’t say that lightly we provided billions of dollars in sanctions relieve sent more than a billion dollars in cold, hard cash and opened up Tehran to the global markets and meanwhile, Iran has stepped up its support for terrorism increased its human rights abuses and ramped its ballistic missile program. All while keeping its sights on a nuclear weapon. Republicans in congress reputed this deal and for a good reason, it is dangerous for the United States and for the world. 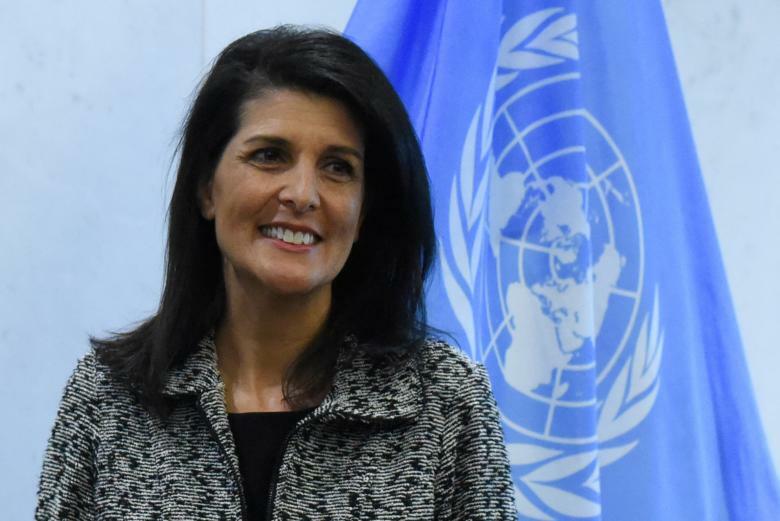 The US Ambassador to the UN, Nikki Haley says that Syria’s President Bashar al-Assad is a big hindrance in trying to move forward to find an end to the country’s 6-year conflict. Also, Iran is a big hindrance when it comes to ending the conflict in Syria. the only reason for Assad to have an upper hand in this conflict is the support from Russia, Iran and the Hezbollah from Lebanon. Without the foreign terrorists, Assad would have been toppled at the beginning of the conflict. It is about time USA and Russia come together and find a better solution, but the issue of Assad is going to be there. U.N.- led peace talks are currently being held in Geneva. Haley said U.N mediator Staffan de Mistura desperately wants the United States to be part of finding a solution to the conflict in Syria. When you have a leader that are willing to use chemical weapons on his own people you must ask yourself if that is someone you can work with. Assad has, of course, denied using chemical weapons but if that is the case, who is dropping these bombs? Haley stated that if we don’t have a stable Syria, we don’t have a stable region and it is only going to get worse. An unstable middle east region is a threat to the whole international community and it is very important to find a solution to it. But to get a stable middle east we must get rid of the Iranian presence in Syria, that is the only solution to the conflict. The Syrian opposition said Thursday it rejected “any role” now or in the future for current President Bashar al-Assad. 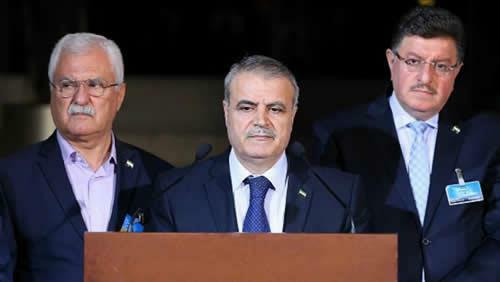 Committee, composed of key Syrian opposition groups in Geneva.